Located in the heart of Mayfair, The Sir Roger Moore Room at Hush boasts a private cloakroom, kitchen and bar, all exclusive to your event. Full of character and entirely self contained on the 2nd floor, the room is an ideal setting for variety of celebrations. The Private Room occupies the entire second floor of Hush, with an exclusive bar, cloakroom and kitchen. Featuring a burnt orange wraparound banquette, wooden panelling and parquet flooring throughout, the room is an intimate and stylish space offering a versatile environment for a variety of occasions, from a sit-down dinner for 10 – 60 or a drinks reception for 100. From corporate breakfast meetings, Bridal Shower Afternoon Teas with a cocktail making experience or a birthday celebration, Hush’s dedicated events team will be happy to assist you in creating the perfect event to suit your needs and to discuss our variety of group dining options. The Sir Roger Moore Room at Hush features state of the art AV equipment for presentation purposes and offers a discreet setting on the 2nd floor of Hush, together with a professional front of house team it is an ideal setting for your business lunch or dinner. 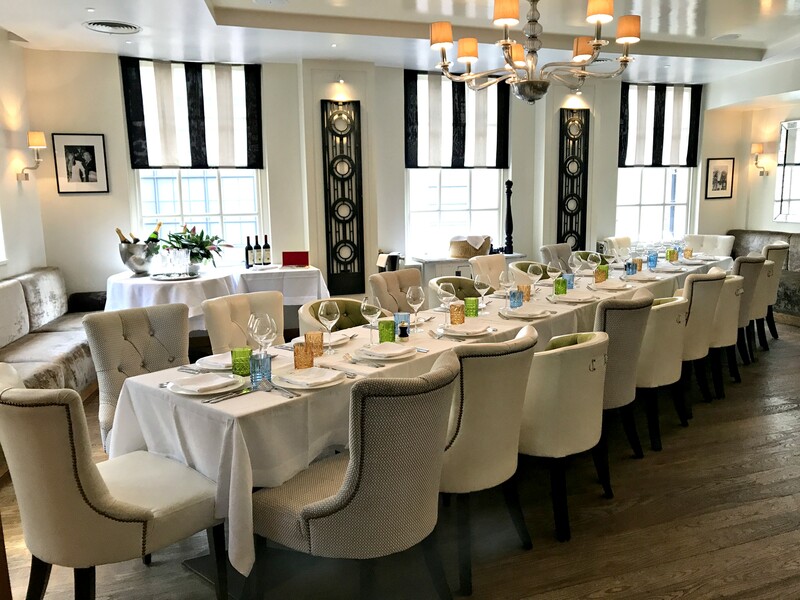 Whether you are organising a corporate breakfast meeting or working lunch, opt for one of the best private dining rooms in London.